We wonder whether weather affects bugs? These look like male mosquitos! Logan is checking out the trap! 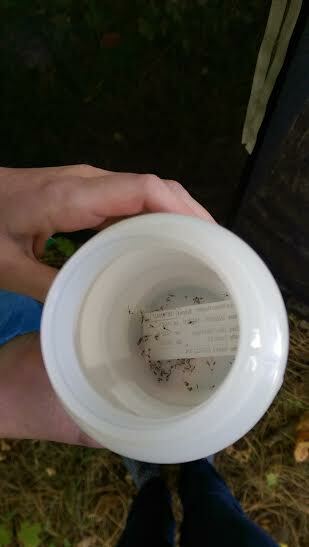 We thought today’s cold, wet weather would scare our bugs away but they found refuge in our trap! It rained yesterday, and today’s high temperature is only 14C, with a low of 3C. 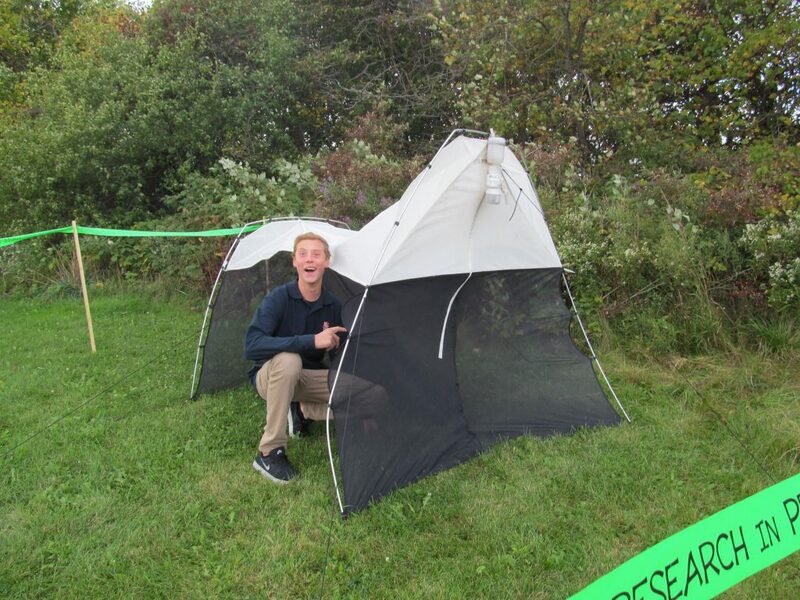 There still seems to be plenty of bugs flying around under the flaps of our tent. 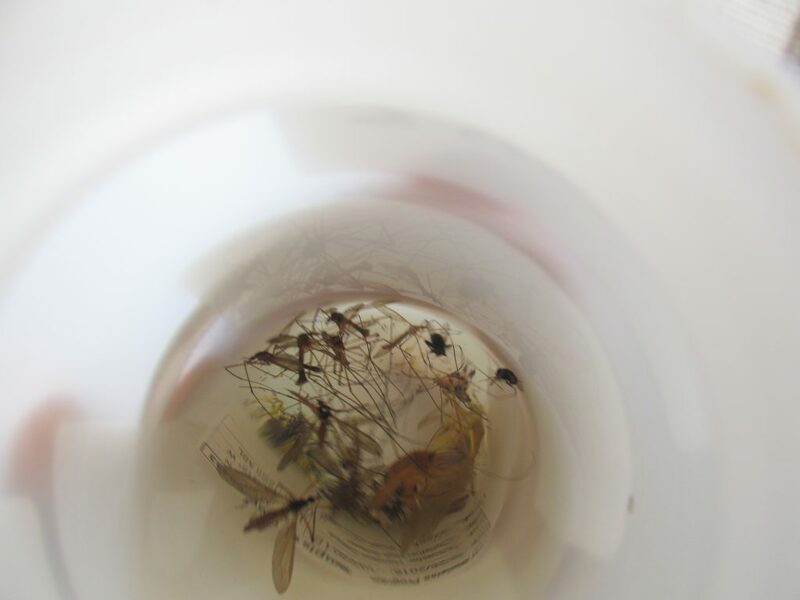 Although, we do not see a huge variety of bugs in our bottle.